ADATA on Thursday formally launched its XPG SX8200-series SSDs, which it previously demonstrated at CES earlier this year. The new drives are based on one of the latest controllers from Silicon Motion and are the fastest consumer SSDs from ADATA to date. The XPG SX8200-series SSDs will offer read throughput of up to 3.05 GB/s, while prices will start at $140. 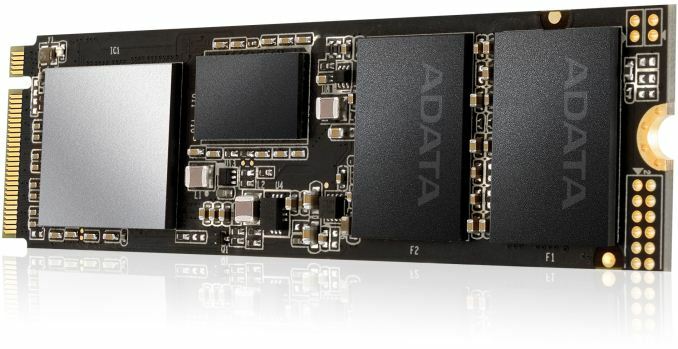 As reported, the ADATA XPG SX8200-series SSDs rely on Silicon Motion’s SM2262 controller (eight NAND channels, four ARM Cortex-R5 cores, NVMe 1.3, LDPC ECC, RAID engine, etc.) as well as 64-layer 3D TLC NAND memory from Micron. The drives use M.2-2280 form-factor as well as a PCIe 3.0 x4 interface, just like other high-end consumer SSDs nowadays. Initially, the XPG SX8200 family will be available in 240 GB, 480 GB and 960 GB configurations, but eventually ADATA is expected to add a 1.92 TB model to address users with for greater capacity needs. When it comes to performance, ADATA specs the drives for up to 3.05 GB/s sequential read speed and up to 1.7 GB/s sequential write speed when SLC caching is used (data based on ATTO benchmark). As for random performance, the SX8200 drives can hit 310K/280K random read/write 4K IOPS, which is a bit lower than peak numbers Silicon Motion once promised for SSDs running its SM2262 controller. To guarantee that the SX8200 drives operate at maximum speeds for prolonged periods, ADATA will bundle a black XPG heat spreader with the drives. All the ADATA XPG SX8200 drives are rated for two million hours MTBF and come with a five-year warranty. ADATA expects the new XPG SX8200 drives to be as durable as their previous-gen XPG SX8000 series. The entry-level 240 GB model is rated for 160 TB TBW (to be written), whereas the 960 GB SKU is expected to handle 640 TB TBW, which equates to around 0.35 DWPD (drive writes per day) over five years, a fairly high rating for a relatively affordable consumer SSD series. ADATA has not set recommended prices of the XPG SX9000 series just yet. What we do know is that the drives are hitting the shelves in the coming weeks and expect their prices to be competitive against the obvious rivals — the Samsung 960 Pro and the Samsung 960 Evo families of SSDs. Speaking of affordability, we need to mention pricing of the XPG SX8200 drives. The 240 GB model will retail for $140, the 480 GB SKU will be priced at $260, whereas the 960 GB variant will cost $480. 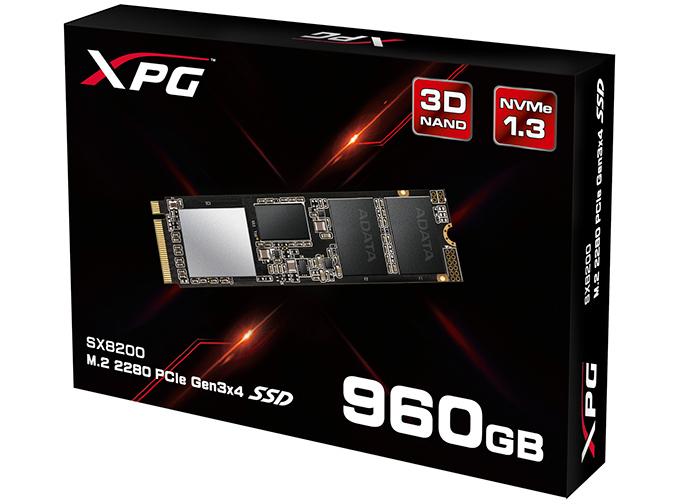 Such prices are of course a bit higher when compared to the current street prices of the XPG SX8000-series, but keep in mind that the new SSDs are considerably faster and will get cheaper after some time on the market. "What we do know is that the drives are hitting the shelves in the coming weeks and expect their prices to be competitive against the obvious rivals — the Samsung 960 Pro and the Samsung 960 Evo families of SSDs." Also, ADATA's spec sheet lists Read performance as 3200MB/s. Well, yeah these drives are not meant to compete with 960 Pro. Maybe 960 EVO is more closer competitor. But yeah with these prizes, can't really recommend these. its great controller and perfectly working. Love it. thanks for such a wonderful controller.